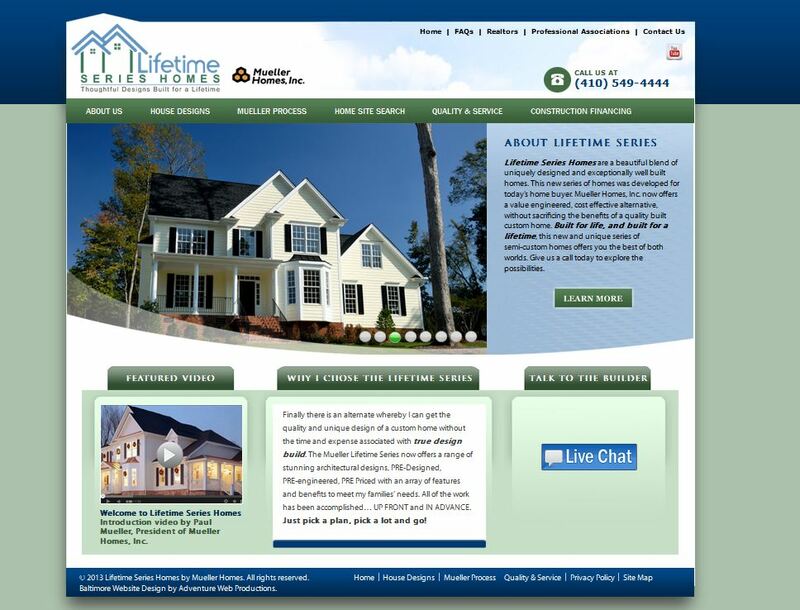 Lifetime Series Homes by Mueller Homes, Inc. serves central Maryland and provides cost effective custom homes. Check out the new Lifetime Series Homes website at http://www.lifetimeserieshomes.com. To learn more about web development, contact Adventure Web Productions now!